The Bread Lab at Washington State University is a collaboration between plant geneticists and master bakers. The goal? To breed new varieties of wheat that can turn out superior breads and beers while still growing well in the cool and wet Northwest climate. According to Ferris Jabr’s profile of the lab in the New York Times Magazine, changes in milling technology during the 19th century moved wheat farmers in the United States to focus on growing a fraction of the varieties they once cultivated. Plant geneticist Stephen Jones hopes to reverse that trend, at least in Washington State, by creating new varieties of the crop. 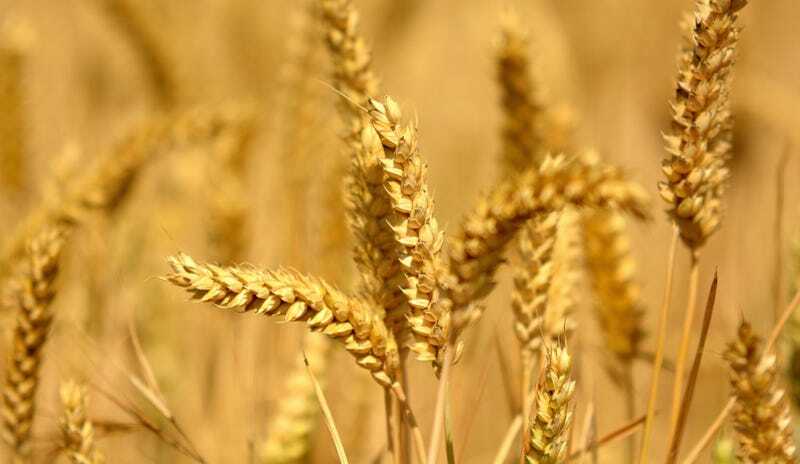 A head of wheat contains up to a hundred hermaphroditic flowers that usually pollinate themselves. Jones would choose a head on one wheat plant and pluck out all its pollen-producing anthers with tweezers, preventing self-pollination. Then, using plastic tubing or gauze, he would bind the neutered head to an intact one on a second wheat plant. Because wheat produces so many flowers, and has a gargantuan genome many times larger than our own, a single cross can yield a carnival of wildly different offspring. But each variety, with its new mashup of genes, will have different flavors and act differently in the oven, so lab baker Jonathan Bethony tests their bake-worthiness and develops recipes that make them shine.